A workbook with practical tips, checklists, assignments and examples. Do you feel like no one reads your emails? 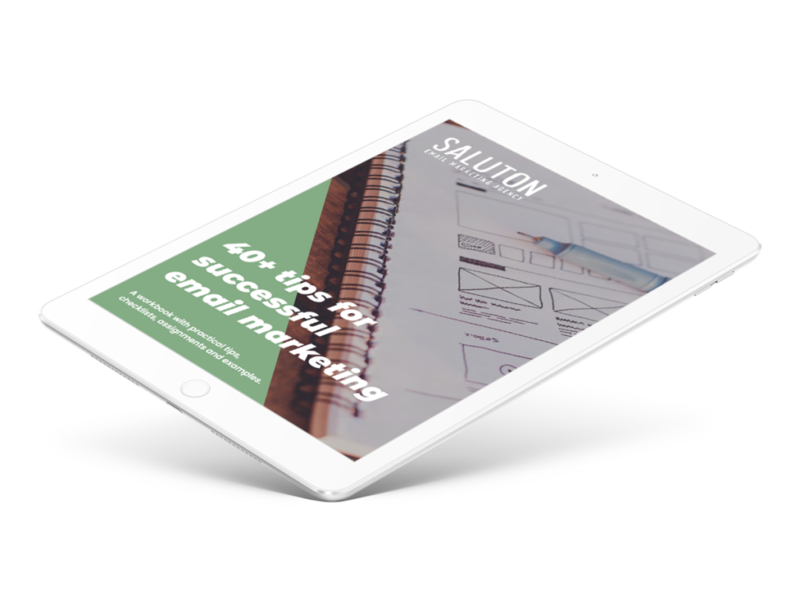 You have a list with email addresses and from time to time you send an email campaign but you don’t get a lot of reactions. You start having some doubts… did they actually see my message? What am I doing wrong? What if you could double your open and click rate? That would be great, right? You’d get more traffic to your website or blog, more signups for your webinars, more customer feedback, more sales,… In short: more reach, more impact and more results. This ebook is for anyone who wants to increase the impact of their email marketing efforts: online entrepreneurs, webshop owners, small and medium businesses, bloggers, coaches,… Whether you are new to email marketing or you’ve been experimenting for a while, this ebook will offer valuable insight in how you can maximise the impact of your campaigns. Easy peasy. Join our monthly newsletter by filling out the form below and I will immediately send you the free ebook. You can unsubscribe easily any time. Why the ‘grandpa of online marketing’ is still one of the best communication channels. How you can get more subscribers to your mailinglist. How to create emails that people absolutely love. How to craft high-impact messages. How you create emails that will be opened AND clicked. How you can set up tests to optimise your results. How you avoid ending up in the SPAM folder. How you get more inspiration to create better emails. By completing this form you are signing up to receive our monthly newsletter and the free ebook. You can unsubscribe at any time. Saluton respects your privacy, will keep your data safe and we will never send you SPAM. That’s a promise!